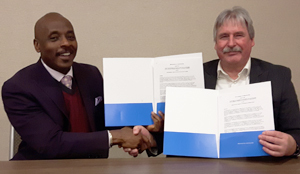 In late January, a MOU was signed between the Inter-American Center for Social Security Studies (CIESS) and the Pacific Coast University for Workplace Health Sciences (PCU-WHS) and the National Institute of Disability Management and Research (NIDMAR). The CIESS, headquartered in Mexico City has developed programs of activities that address priority aspects of social security for their region which encompasses the Americas and the Caribbean, covering 36 countries and a membership of more than 80 institutions. The MOU creates the opportunity for the adoption of educational programming and the best practice professional and program standards in Return to Work and Disability Management for the member organizations of the CIESS, and expands the global membership in the International Disability Management Standards Council (IDMSC) to 64 countries. It is hoped that the further adoption of best practice standards in Disability Management and Return to Work will help change the narrative with regard to detrimental outcomes when an individual with a disability does not have a return to work option and is forced into poverty, homelessness, addiction or potentially worse scenarios. We congratulate the CIESS on their leadership. An event was held in Brussels on December 4, 2018 recognizing 60 individuals who successfully completed the educational program as well as those who successfully achieved the CDMP and CRTWC professional designations. Events were held in late November 2018 in the UK to recognize individuals who were successful in achieving the CDMP designation. 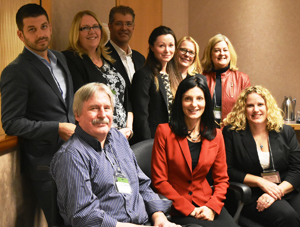 The newly selected Board of the Canadian Society of Professionals in Disability Management (CSPDM) held its first Board meeting in Toronto at the offices of the WSIB, under the leadership of CSPDM Board Chair, Evie DoCouto, WSIB Vice-President for Return-to-Work. Recognized in the International Social Security Association’s Best Practice Guidelines on Return-to-Work as the gold standard in professional competence, CDMPs and CRTWCs now reflect a global professional community of over 4,000 individuals in 13 countries across all continents and expanding at a brisk pace. During the conclusion of IFDM 2018 held in Vancouver, Canada, October 15-17, attended by 400 delegates from 30 countries, organized by the Pacific Coast University for Workplace Health Sciences (PCU-WHS), the handover took place to Brussels, site of the 10th International Biennial Congress on Disability Management and Return to Work – IFDM 2020 – to be hosted by the Belgium Federal Social Security Organization, INAMI. Attached please find the bulletin with further details with regard to the IFDMs going forward. Over 80 Presentations were delivered by experts from 20 countries during the conference. These have been uploaded to the IFDM 2018 website. Please click on the tab marked Program on the website and click on the links provided in the titles of the Plenary presentations as well as of the Concurrent Workshop presentation titles. To view the Gallery of Photos taken at IFDM 2018, please visit the IFDM 2018 website and click on the tab marked Gallery of Photos. To view the Welcome videos from Federal Ministers Carla Qualtrough and Patty Hajdu and BC Premier John Horgan, please click on the tab marked Video Library on the website. 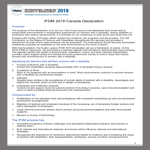 Following the Kuala Lumpur Joint Statement on Disability Management issued at IFDM 2016 in Malaysia, which set out a framework of values, at IFDM 2018 held in Vancouver, Canada, October 15-17, 2018, the Canada Declaration was put forth as a practical agenda leading to demonstrable improvements, clarifying the duties of governments, employers, unions and other relevant stakeholders, providing support where needed, and putting government money to work in ways that reduce poverty and unemployment of workers with a disability. It identifies barriers that still face workers with a disability and sets out Goals going forward. Click on the tab, “Registration”. To view the Preliminary Program, click on the tab, “Program”.